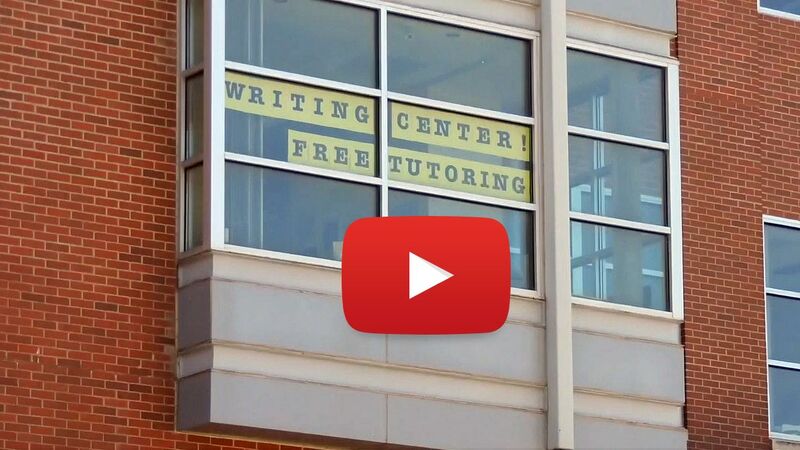 The Writing Center is dedicated to providing one-on-one assistance to student writers and other members of the campus community. Writers come to the center for help at various stages of their writing process, from brainstorming to revision of drafted papers. Writing tutors assist with any kind of writing, from research papers to personal statements for applications. The Writing Center also offers online tutoring to distance students who are unable to visit in person. Monday through Thursday, 6-8 p.m.
To schedule an appointment, click the gold "Make an Appointment" button. If you are a new visitor, click on "Register for an account." Creating an account is a quick process. If you need any help with it, please drop by. You can find us on the third floor of the Commons in the Vandal Success Center. We look forward to helping you have a successful semester! If you need help with an end-of-semester project, be sure to plan ahead. The Writing Center closes on the last day of class, Friday, May 3. Our tutors are not available during finals week.